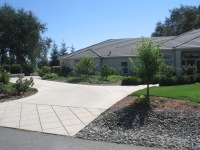 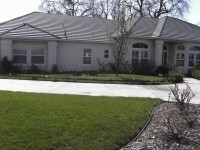 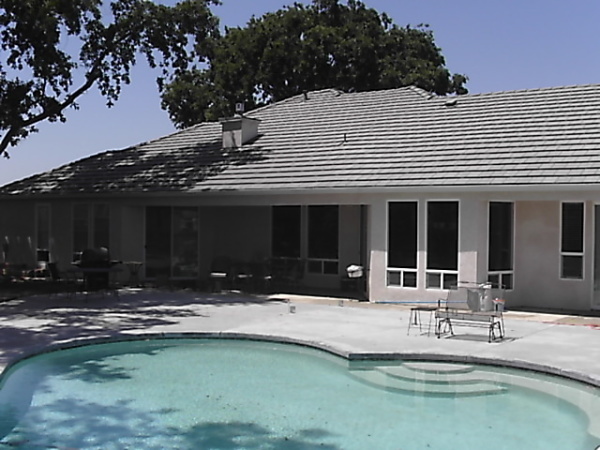 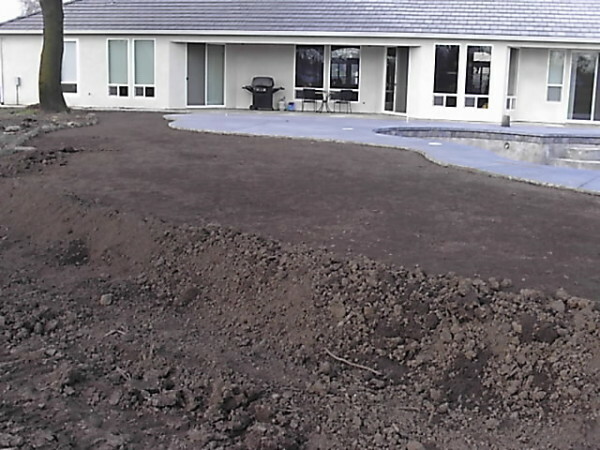 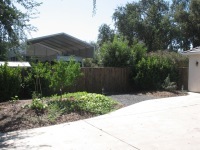 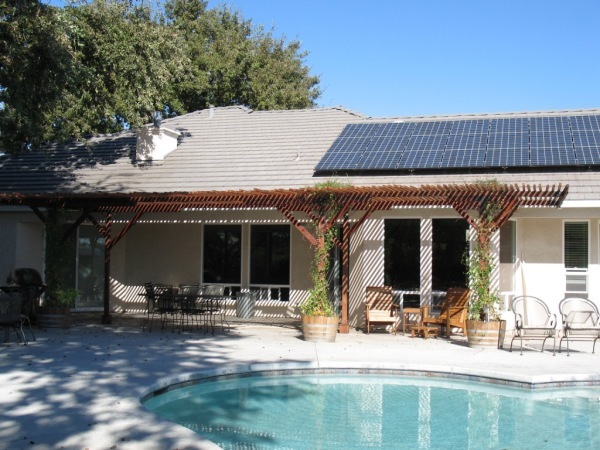 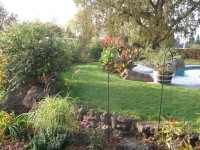 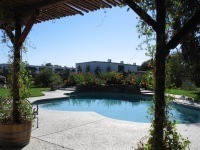 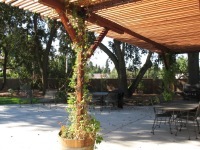 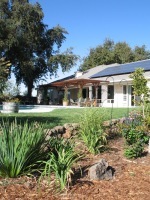 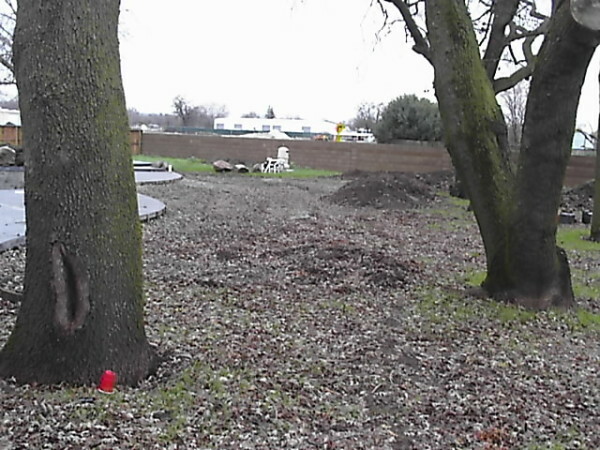 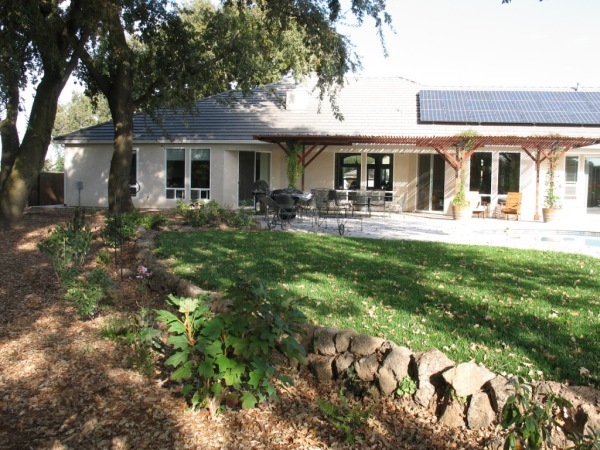 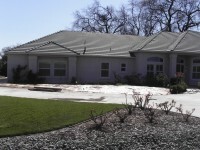 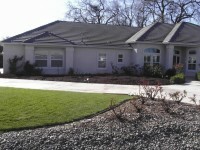 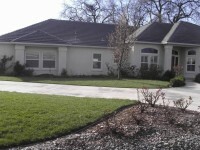 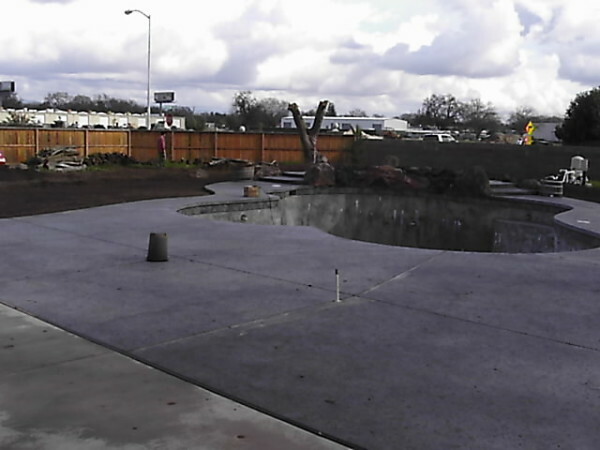 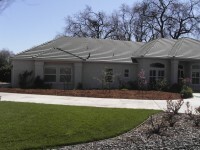 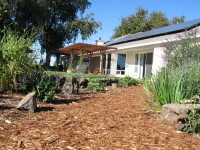 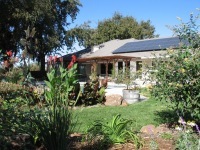 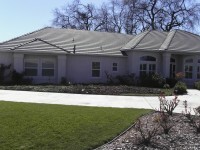 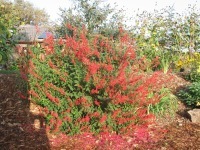 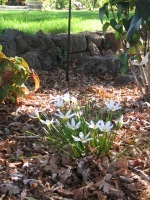 This was a 1 acre residential project in south Chico, CA. 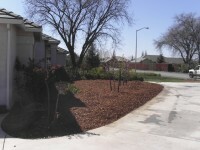 There was an initial design and several installations and renovations over the years. 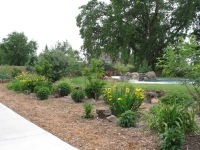 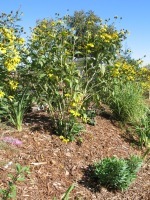 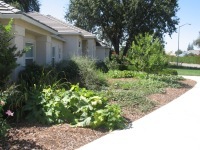 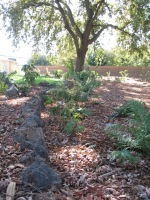 Throughout that time we provided Holistic Landscape Management service for the property as a whole. 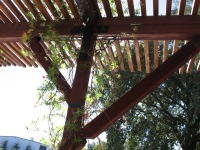 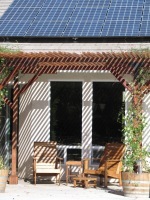 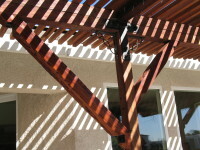 Though not attached to the house a permit was required for this pergola. 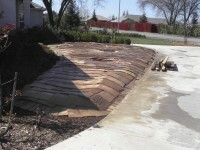 FSC redwood was purchased and the wood was 'antiqued' to give it a rustic appearance. 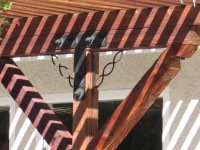 The hardware was also chosen to accentuate the raw feel of the wood. 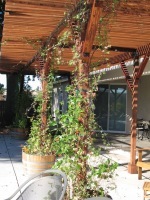 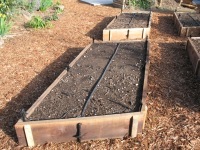 3 wine barrels were designed with the posts placed inside for drip irrigation of self sowing climbing deciduous vines. 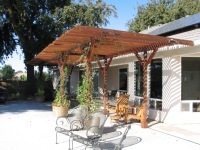 The shade created for this patio is nicely filtered by the wooden slats of the pergola to allow for light to enter but not the intense heat of this southern facing wall. Looking from the patio out into the sun gardens the pool is actually elevated about 5 feet above the surrounding terrain. 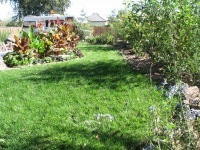 Narrow turf areas enclose the pool in a curvy half moon shape as bermed garden beds slope down to the vegetable gardens and pump house below. 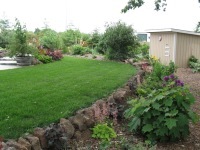 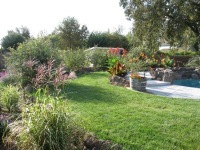 A native stone retaining wall surrounds much of the elevated turf area intermingled on each side with steps down into the Oak woodland shade garden or over to the RV pad and vegetable gardens. 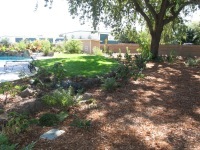 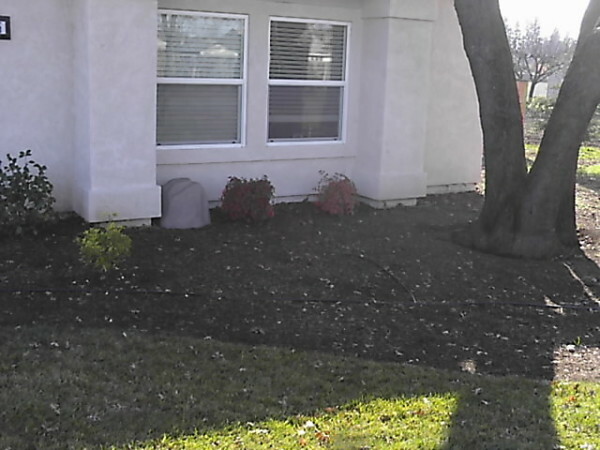 In 2005 this front landscape consisted of turf, boxwood shrubs and date palms. 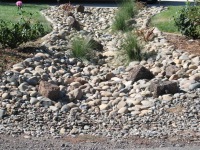 The dry creek was exisiting but with no plants which we accentuated over the years with bunch grasses and New Zealand flax plants. 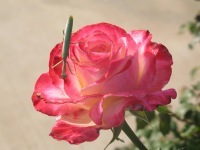 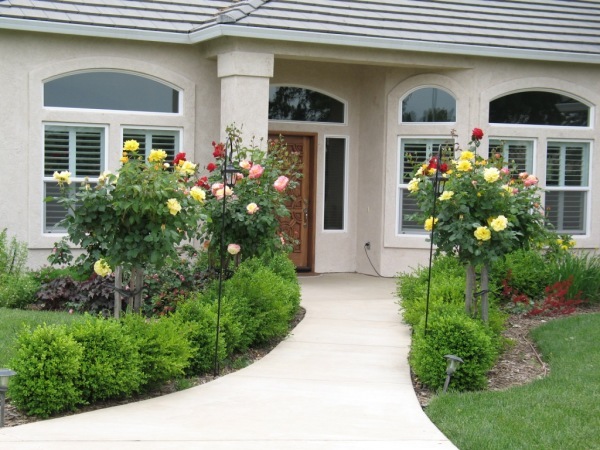 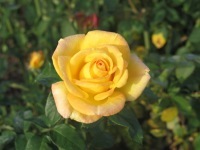 Roses were planted in many areas as well as flowering plants and shrubs -the roses replaced the date palms. 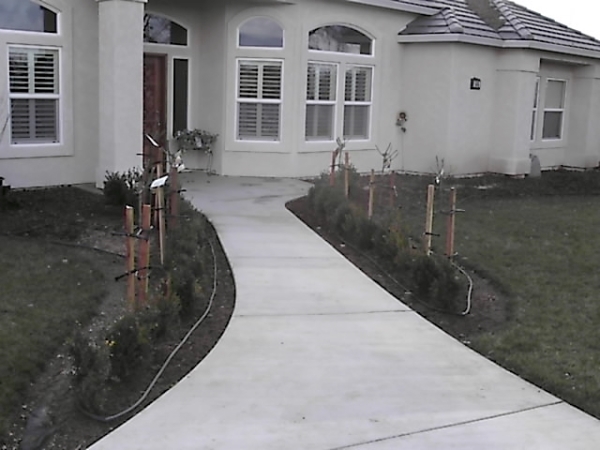 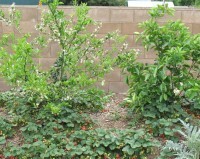 Several fruit trees were planted after sheet mulching turf areas along the house. 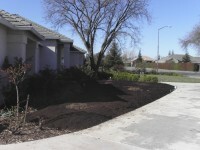 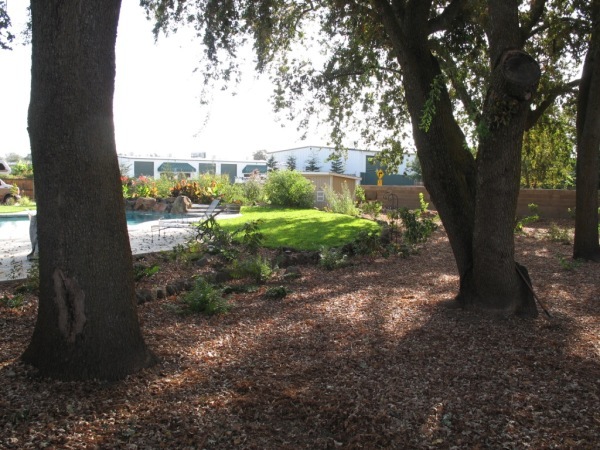 Two turf areas were sheet mulch to convert the areas to edible landscapes with fruit trees and annual vegetables.